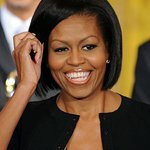 During the weekend, First Lady Michelle Obama joined Got Your 6 and industry leaders in film and television to launch a new effort to expand public understanding of veterans through popular culture. Got Your 6 is the entertainment industry-backed collective impact campaign devoted to changing the narrative around America’s veterans. First Lady Michelle Obama headlined the event to highlight the need to tell veterans’ stories in ways that reflect the breadth of their actual experiences and to help Americans better understand their sacrifices and struggles. In association with National Geographic and Charlie Ebersol’s The Company; a new campaign from Got Your 6 – “6 Certified” – will bring together industry executives, content creators, and programming influencers to challenge the industry as a whole to provide a more accurate and responsible portrayal of veterans in entertainment. Through Got Your 6, the “6 Certified” program seeks to shift public perceptions of veterans in popular culture. Joining the First Lady, producer Bradley Cooper and The Company President and CEO Charlie Ebersol were Chris Marvin, Managing Director, Got Your 6; Courteney Monroe, CEO, National Geographic Channels U.S.; Greg Silverman, President, Creative Development and Worldwide Production, Warner Bros. Pictures; “American Beauty” and “Silver Linings Playbook” producer Bruce Cohen; Sarah Schechter, President, Berlanti Productions; Lori McCreary, Co-President, Producers Guild of America, and Major General Sharon K.G. Dunbar, U.S. Air Force. “6 Certified” encourages content creators to present a normalized and asset-focused view of our nation’s returning service members, striking down the negative, stereotypical, or extreme depictions of veterans as either “charity cases” or “heroes.” Studios, producers and other content creators that successfully complete certification will earn a “6 Certified” badge that they can display during a given film or television series’ end credits. “As Hollywood continues to tell powerful stories about veterans and the military, we want to acknowledge those who work hard to get it right,” said Chris Marvin, Managing Director of Got Your 6. " ‘6 Certified’ will recognize films that portray veterans accurately and responsibly. This is an important first step in challenging misconceptions about veterans in popular culture and fostering understanding between veterans and civilians." “As content creators, we have an incredible opportunity to shape perceptions surrounding veterans and military families, who are important assets to our communities.” said Greg Silverman, President, Creative Development and Worldwide Production, Warner Bros. Pictures. Each year, around a quarter-million service members exit the military and re-enter civilian life. For the past decade, this “veteran reintegration” has been framed as a problem. However, Got Your 6 highlights veteran reintegration as an enormous opportunity for America, because veterans are uniquely suited to solve some of the nation’s most difficult challenges. “6 Certified” programming will positively contribute to the overall cultural narrative surrounding veterans and foster understanding between the veteran and civilian populations. Once a project enters post production and meets “6 Certified” eligibility requirements, a studio or production company may submit the project for consideration by the Review Committee, a group of subject matter experts who will review all submissions for certification and grant “6 Certified” status. The Review Committee will meet on a quarterly basis to award certifications and at the end of each calendar year, Got Your 6 will release a list of all “6 Certified” projects. More information on certification is available here. The “6 Certified” program is operated by Got Your 6, a collective impact campaign that takes its name from the military term that means “I’ve got your back.” The campaign was launched in 2012 in response to a call-to-action by First Lady Michelle Obama and her Joining Forces initiative.